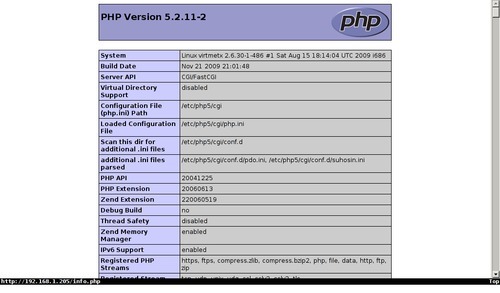 PHP does not allways have to run with Apache. There are several lightweight httpd daemons that can support PHP. In search for a lightweight solution to run some php pages on my Debian diskless shellserver it appears there are several lightweight httpd daemons in Debian that can do php. Nginx requires the most work. comment this line out in /etc/lighttpd/lighttpd.conf include_shell "/usr/share/lighttpd/use-ipv6.pl"
check that lighthttpd is running. 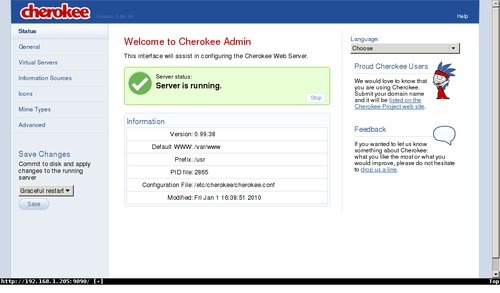 The -b option makes it possible to reach cherokee-admin from other machines than localhost. 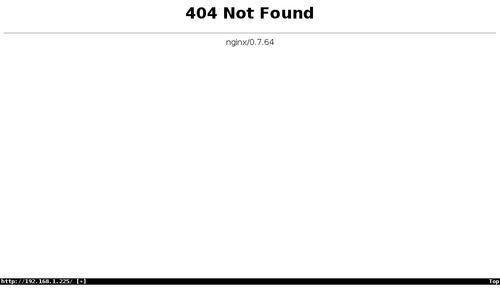 As can be seen from this screenshot, the nginx package does not come with a startpage. 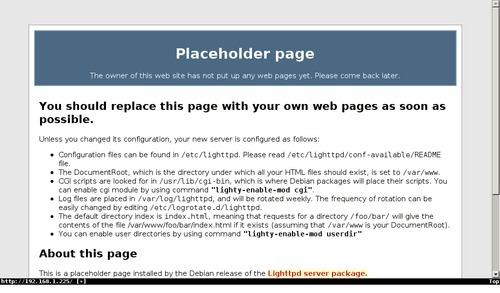 In fact, the directory which is configured as documentroot for the default site does not exists. So we have to make that first. # Do NOT "set -e"
DESC="php-cgi in external FASTCGI mode"
# Define LSB log_* functions. # Depend on lsb-base (>= 3.0-6) to ensure that this file is present. log_warning_msg "To enable $NAME, edit /etc/default/$NAME and set START=yes"
# and if the daemon is only ever run from this initscript. # sleep for some time. # Many daemons don't delete their pidfiles when they exit. [ "$VERBOSE" != no ] && log_daemon_msg "Starting $DESC" "$NAME"
[ "$VERBOSE" != no ] && log_daemon_msg "Stopping $DESC" "$NAME"
Which lightweight httpd daemon to choose? Open source software is all about freedom. And all about free choice. Many times there are multiple choices to provide the same solution. Here this too is the case. So we are challenged to make our choice. Based on filesize, cherokee is the smallest of the three. There are many more facts to consider when picking your choice. I wanted a solution to have some PHP files for personal use. So facts like performance, being able to serve a zillion pages etc. are not important to me. I wanted the lightest solution. 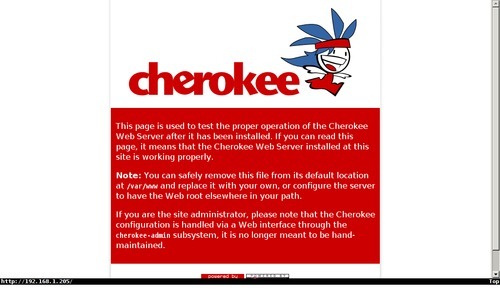 Pure based on filesize, cherokee has become my choice. 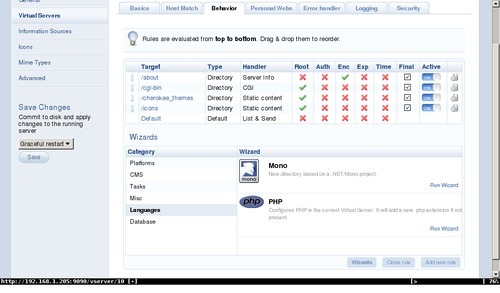 With netstat -ntulp it is easy to check that the webserver is willing to connect.